C. Robert Cargill wears a lot of hats. He reviews movies, he writes movies, he and I used to argue politics on the internet years ago, and now he writes books. 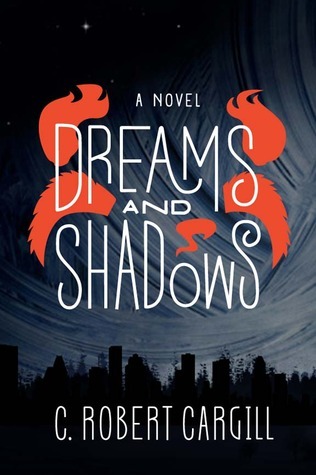 I didn't see his movie Sinister since horror isn't my thing, but it was well regarded, and his debut novel, Dreams and Shadows, was getting even more acclaim than that. So I naturally had to pick it up, and I'm ultimately pretty glad I did. 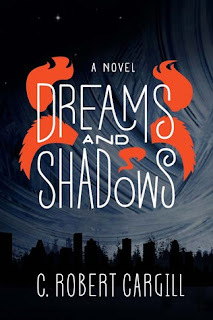 As someone who struggles with both urban fantasy and feywild/changeling stories, Dreams and Shadows succeeds in being solid with both of them. The plot is deceptively simple. It starts with a boy, Colby, who meets a djinn and gets a wish to see all the creatures in the world. He meets Ewan, who is a boy taken and replaced with a changeling. Their paths never part from that point onward, and the the story quickly becomes one of a lot of different concepts, from fairies to magic to all-out war. It's incredibly ambitious, and it basically works. Things tie together nicely, and the book has more than its share of twists and turns to keep things from looking predictable. If I have any complaints, it's that the book might feel a little redundant to people with more background in these settings and tropes. It's somewhat fresh to me, and I feel there's a lot of a personal touch to the stories that more than covers for any sameness that might exist. The beginning of the story threw me off for a bit until I figured out what was going on as well, but I ended up being very glad I powered through. Overall, if you're looking for a new Gaiman-esque fantasy to hold you over, this is a worthy entry into your list of things to read. I don't know what Cargill will be up to next, but I hope more books are part of it.